To celebrate the release of Suits Season 6: Part 2 on DVD we spoke with Suzie Plush on building confidence, socially and in the workplace. 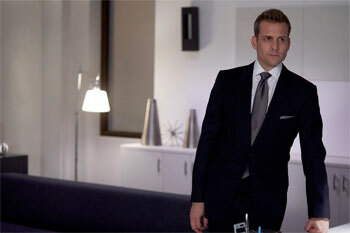 Suits, American legal drama series, returns for the thrilling conclusion to the sixth season. The focal point of the show follows talented college dropout Mike Ross, who works as a law associate for Harvey Specter (Gabriel Macht), working for Jessica Pearson (Gina Torres). Dress for impact - Your presence will be felt if you power dress. A polished presentation will give you the upper-hand immediately in your negotiations. 'The better you dress the worse you can behave"
Rewrite the rules - Challenge what is expected and be creative when problem solving. 'When you're backed against the wall, break the goddamn thing down"
Position yourself to win - Take up challenging opportunities and do what it takes to come out on top. "You wanna lose small I wanna win big"
Let your reputation precede you - Craft your personal brand to ensure you leave a lasting impression. 'Work until you no longer have to introduce yourself"
'It's going to happen, because I'm going to make it happen"
Question: What do you love about the characters Jessica and Harvey in Suits? Suzie Plush: Jessica always remains calm under pressure and she continually thinks ahead. Her outfits are amazing and she makes an impact with her work attire. Harvey has crafted a unique personal brand and he owns it. I also admire his creative problem solving and his ability to rewrite the rules! Question: What advice do you have for us to build confidence, in our workplace? 2. Rewrite the rules - Challenge what is expected and be creative when problem solving. 3. Craft your personal brand - Ensure you stand out from the crowd by leveraging what is unique about you. Question: How does your advice change when we need to build confidence in social settings? Suzie Plush: To build confidence in a social setting I recommend following the below tips. 1. Prepare topics- Research conversation topics prior to the event to give yourself content to chat to other people about (these topics may include news headlines, books, movies etc). 2. Choose your outfit wisely - You'll feel more confident if you are dressed in the right attire. If you are overdressed or underdressed you will feel self conscious. 3. Act confident - Stand tall, smile and ask other people questions. Make other people feel important and you will forgot about how nervous you are. Question: What types of behaviour reflect professional confidence? Suzie Plush: Body language is very important when it comes to portraying confidence. Standing tall, speaking with authority and moving with purpose will make you appear more confident to others. Question: How can we be aware of the fine line between confident and cocky? Suzie Plush: Always be gracious and practice humility in your interactions. These two qualities will offset cockiness. Question: How does an outfit build our confidence? Suzie Plush: Your work attire will affect how you feel, invest in some heels or a blazer and your confidence will be instantly enhanced. Question: What are your key tips to backing ourselves in the workplace? Question: How can we learn to say -no' confidently when in social settings? Suzie Plush: Keep your reasoning simple and try not to provide too much information. For example "Thanks for the invite, unfortunately I won't be able to make the event as I already have plans" Then change the subject 'Tell me about your week?" Often we spend too much time apologising or explaining our reasons for saying no which can undermine our confidence. 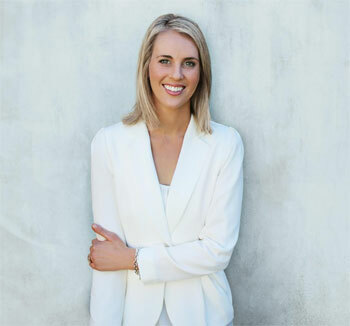 Suzie Plush is a Career Expert & Psychologist, please visit www.suzieplush.com.au for more information.